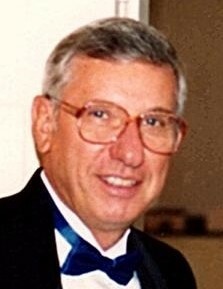 Richard Gutowski, passed away on Tuesday, October 2, 2018. He was born on January 26, 1931 at home in Toledo, the sixth and youngest child of Stanley and Frances Gutowski. Richard proudly served his country in the US Army during the Korean War where he was stationed in Germany. He was employed with Libbey Owens Ford Glass Company until his retirement in 1985. He was a member of All Saints Catholic Church and sang in the choir, a life-time member of the American Legion Post #533, volunteered in the church kitchen during summer festivals. His greatest joys were fishing on Lake Erie with his son, having the family over for his famous fish fry and babysitting his grandchildren following his retirement. Surviving is his loving wife of 68 years, Katherine (Kazia Klepacz) Gutowski; sons, Thomas (Judy) Gutowski, Gerald Gutowski; daughter, Rebecca (Gordie) Chauvin; grandchildren, Jessica (Devin) Howard, John Lydy, and Matthew (Christina) Radecki. Richard was preceded in death by his parents; brother, Floyd (Alice) Gutowski; sisters, Eleanor Gutowski, Dorothy (Al) Jankowski, Irene (Joe) Kajaniak, Loretta (Ted) Zawierucha. In accordance with Richards wishes, his body was donated UTMC. A Memorial Mass is planned for 11 am on Saturday, October 13, 2018 at All Saints Catholic Church in Rossford with bagpipe music by Devin Howard. The family will receive visitors in the church narthex beginning at 10:15 am. The family suggests memorial contributions in Richards memory be directed to Hospice of Northwest Ohio, 30000 E. River Rd. Perrysburg, OH 43551.